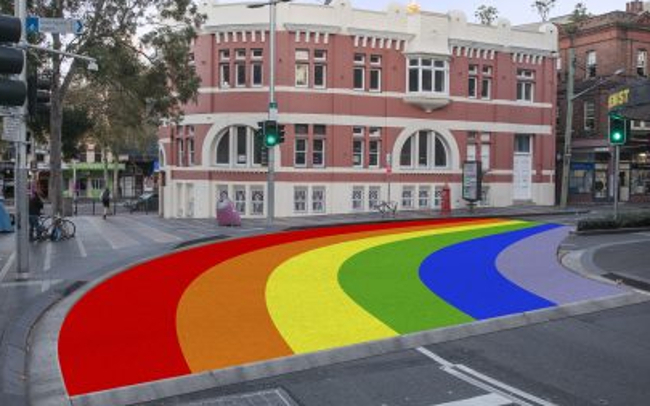 A new rainbow crossing will soon be installed near Sydney’s iconic rainbow flag at Taylor Square. The crossing has been announced on the eve of the 40th anniversary of the first Sydney Gay and Lesbian Mardi Gras on June 24 and the instalment of an inflatable artwork feature that will be launched on Sunday. The move follows an initial rainbow crossing which was installed in February 2013 but was removed two months later after it was deemed to be dangerous to pedestrians and vehicles. The new crossing, on the corner of Campbell and Bourke Streets in Darlinghurst, will include a trial to prioritise pedestrian movements ahead of vehicular movements and the work would include a local street upgrade to improve amenity and safety for pedestrians. Speaking ahead of taking the proposal to Sydney City Council, Lord Mayor Clover Moore said it will be a powerful acknowledgement of the importance of our LGBTQI community and history. “I want to thank NSW Roads Minister Melinda Pavey and the RMS for working with us to bring this crossing back and I will be asking Council on Monday night to endorse us proceeding with the installation,” said the Lord Mayor. “The crossing will be reviewed after six months by the RMS and if it has proved to be as safe as we hope it will be, then we will be able to keep it there permanently. Rainbow crossings were first installed in West Hollywood in 2012 to promote Gay Pride Month and became a permanent installation to celebrate the City’s LGBTQI community and to promote the area as a leading tourist destination. There have been multiple rainbow crossings across Los Angeles as well as San Francisco, Vancouver, Adelaide, Tel Aviv and London. 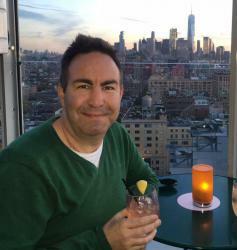 Residents and businesses in the area will be consulted about the proposal in August before a report is prepared for the Local Pedestrian, Cycling and Traffic Calming Committee’s September meeting. Construction on the crossing will start in October and is expected to take three months.